This week, TR finished the manufacturing of shaker screen that ordered by a Middle East client. Now the order has been ready for shipment. Manufactured as per API and ISO standard, TR shaker screens are widely used in oil & gas drilling, trenchless HDD & microtunneling, drilling waste management, etc. Besides our own shaker screens, TR also manufacture shaker screens that could be totally replaceable with many international brand like Derrick, Mi-Swaco, Brandt, Kem-tron, etc. 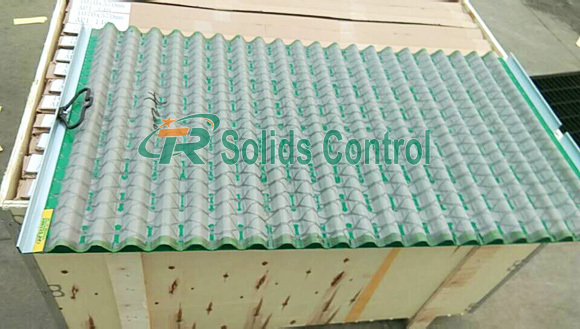 Shaker screen is a common spare part of shale shaker. It is required a lot in our company. 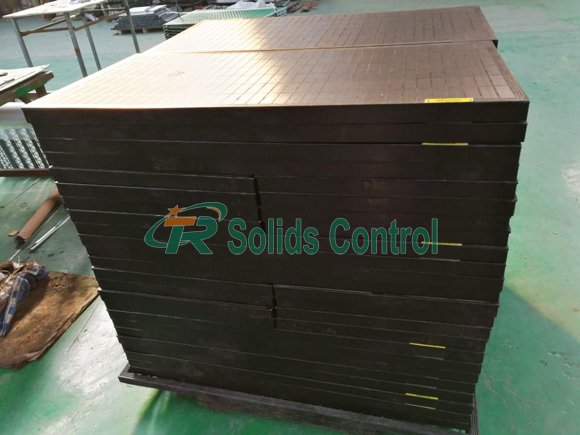 As for this order, it consists of 100pcs Derrick replacement FLC500 shaker screens, 100pcs Derrick replacement Hyperpool series shaker screen, and 100pcs replacement Mongoose shaker screens. The screen material of all them is made of high standard stainless steel 316. Furthermore, our screens have double layers among API 80 to API 120. And have three layers among API 140 to API200. Filtering area of our screen is uniform. Also the material of their baseplate has high intensity. Are you looking for high-quality shaker screen to last, even in the harshest conditions? TR Solids Control provides replacement shaker screen for major OEM shaker manufacturers. Our screens have competitive price and long service time. In addition, our solids control equipment such as shale shaker, decanter centrifuge, mud agitator, mud cleaner, jet mud mixer, vertical cutting dryer, centrifugal pump, screw pump, vacuum degasser are hot sale. Expecting your inquiry soon!